We specialize in commercial appliance repair on all major brands and models in Honolulu, Hawaii. We serve all major commercial brands such as ACP, Admiral Craft, Advance Tabco, Accu Temp, Anets, APQ Wyott, Arctic Air, Bakers Pride, Barkel, Barkel, Beverage Air, Browne, Carlisle, Cactus Mat, Cecilware, Cambro, Chaption and many more. Our technicians are factory trained and certified to fix commercial appliances such as commercial refrigerators, commercial ice makers, commercial oven, etc. We know how frustrating it is for business have your appliance broken. Your business will suffer or slow down. That is why we will make it a priority to fix your commercial appliance as soon as possible. 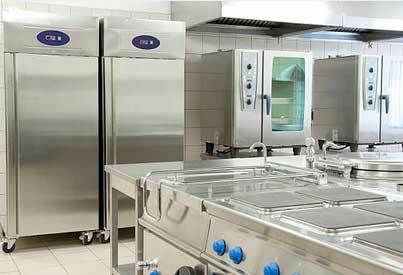 Our Honolulu Appliance Repair Pro team specializes in large commercial size kitchens and kitchen equipment. We will come to your business at the time most convenient for you. We will work around your schedule. Our team will do their best not to disturb your employees or your customers and deliver a top quality service at the same time. They will examine your broken equipment and quickly find out what is wrong with it. We work fast and are precise in everything we do. Whether it’s deep cleaning, replacing parts, installation or anything else we will be able to do an amazing job for you. When it comes to commercial appliance repair in Honolulu, we offer the best customer service and the best warranty. Our techniques are always very friendly and helpful. They are detailed oriented and professional in their work. You get the service call is waved with every repair and FREE, accurate estimate. We will also make sure to give you an appointment at a time most convenient for you. We work on a weekend and in the afternoons. Same day appointments are available. Our company has been in business for more than 30 years. We specialize in commercial appliance repair. We work with local Honolulu restaurants, hotels, bars, commercial kitchens, and cafeterias as well as catering companies. Our service area includes Āina Haina, Ala Moana, Aliamanu, Camp HM Smith, Capitol District, Downtown Honolulu, Fort Shafter, Hawaiʻi Kai, Honolulu, Kahala, Kaimuki, Kakaʻako, Kalihi – Palama, Kalihi, Kuliouou – Kalani Iki, Leahi Park and the rest. We have several factories trained, and certified specialists are working for us. So we can handle a project of any size and complexity. Also, we have a warehouse stocked with the most in-demand kitchen appliance parts. Those parts are manufactured by the top appliance manufacturers such as GE, DCS, Electrolux, etc. As soon as we get a request form a client, we load our trucks with all the equipment and tools as well as necessary parts. For example, if we are fixing Combi oven, we will make sure some of the most popular Combi oven parts. But in case the part is more unique we will most certainly be able to order it for you. For best commercial Oahu appliance repair service in Honolulu just give us a call at 808-518-2966. We will set up a fast and convenient service appointment for you. Our appliance repair tech will be on his way in no time. We are known for our efficiency and fast response time. Soon our technician will be at your place of business, and he will immediately start work. He will take apart your equipment and clean it out if necessary. Sometimes the grime and dirt from constant use are what’s preventing the equipment from working right. Sometimes if it’s a refrigeration unit, it will need to be defrosted. We will do whatever it takes to figure out what it is going one. Our team has instant access to all service manuals, service bulletins, and parts diagrams. All of our technicians have at least ten years of experience in commercial appliance repair. Once our technician figures out what is wrong, he will give you suggestions on the fastest and most efficient solution. Sometimes the fix can be done right away. But often with commercial kitchen equipment parts will need to be replaced. In that case, we will find the parts for you in our warehouse or order them for you from a manufacturer. Either way, we will make sure to do it as fast as possible because we do not want to slow down your business from functioning. Commerical appliances need to be maintained properly. They are used all day every day, so wear and tear are more probable than with residential appliances. You need to clean your commercial ovens and cooking equipment thoroughly. You also need to defrost your commercial refrigerators often. The parts are more likely to be worn out on any commercial kitchen appliance. That is why we are offering our convenient appliance maintenance service. This service is totally flexible, and well give you ease of mind knowing that professionals are handling your needs. 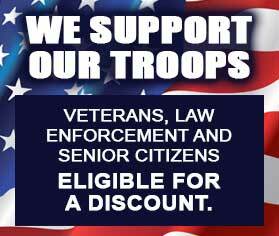 We will come on annual or biannual bases and will do all the cleaning, defrosting, minor repairs, diagnostics, filter changes, etc. for you. With professional maintenance, your equipment will last longer and will give you much better performance. For example, a pizza oven that is cleaned and checked regularly will be better at maintaining the right temperature and will also cook more evenly. We are the best commercial appliance repair in Honolulu. In fact, we are number one Oahu appliance repair company with extroridnary skills and experence. Our experience helps us to provide our customers with the best quality service possible. Our technical team has all the skills and knowledge needed to repair any commercial appliance. We work with all the brands and models of commercial kitchen appliances. For example, we repair CMA Dishmachines, Convotherm, Curtron, Dean, Delfield, Dinex, Dito Electrolux, Dormont, Eagle, Electrolux Professional, Everpure, Ecvellence, Fagor and many more. No project is too big or too small. For more than 30 years we have been working in the industry of commercial appliance repair, and we know exactly how to plan and handle any situation. We will make a service appointment easy and convenient for you, and we will deliver amazing results. For commercial appliance repair appointment, please call us at 808-518-2966 or fill out our short contact form. We will be happy to schedule your service appointment with one of our experienced appliance repair technician. Services available on the whole island of Oahu. That includes Aina Haina, Aiea, Ala Moana, Aliamanu, Capitol District, Downtown Honolulu, Foster Village, Fort Shafter, Hawaii Kai, Kahala, Kaimuki, Kakaako, Kalihi-Palama, Kalihi, Kuliouou-Kalani Iki, Leahi Park, Liliha-Kapalama, Makiki, Manoa, Mccully Moilili, Moanalua, Niu Valley, Nuuanu, Oahu, Palolo, Pauoa, Red Hill, Salt Lake, The Arts District, Waialae, Waialae – Kahala, Waikiki and the rest.